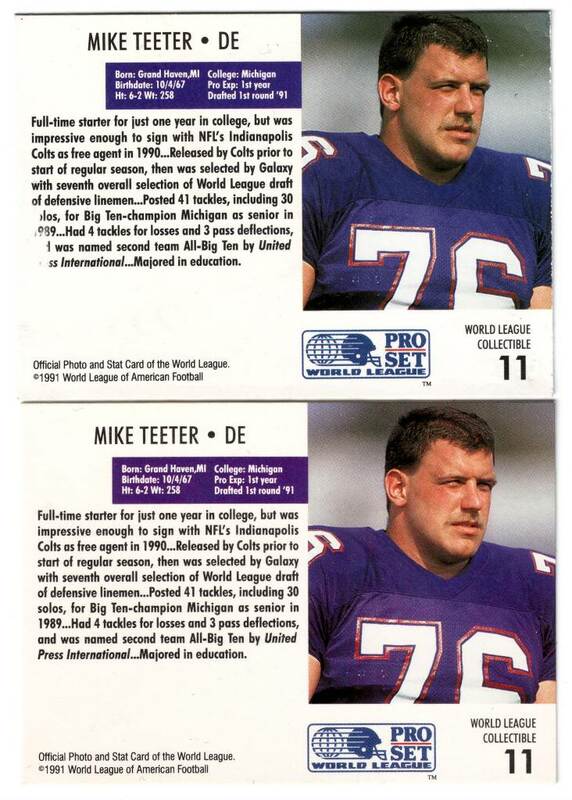 Obviously, the backs of 1991 Pro Set Platinum went through a few design changes. What you see above, is the only reference for the card I have ever been able to find. Certainly, at least that copy must exist out there somewhere, but as of 2010, not a copy has surfaced on any of the usually channels. 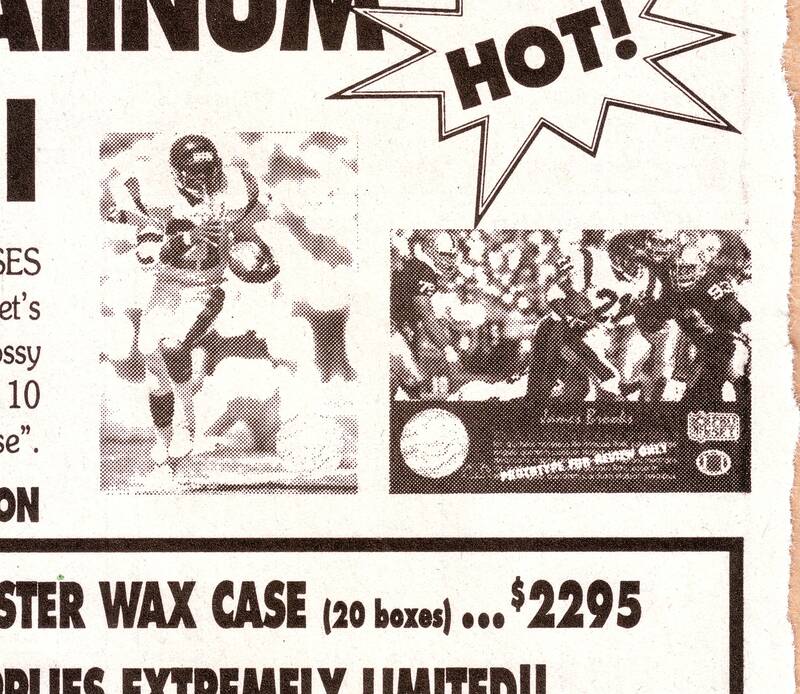 PS: Check out those case prices. They are extremely limited!! 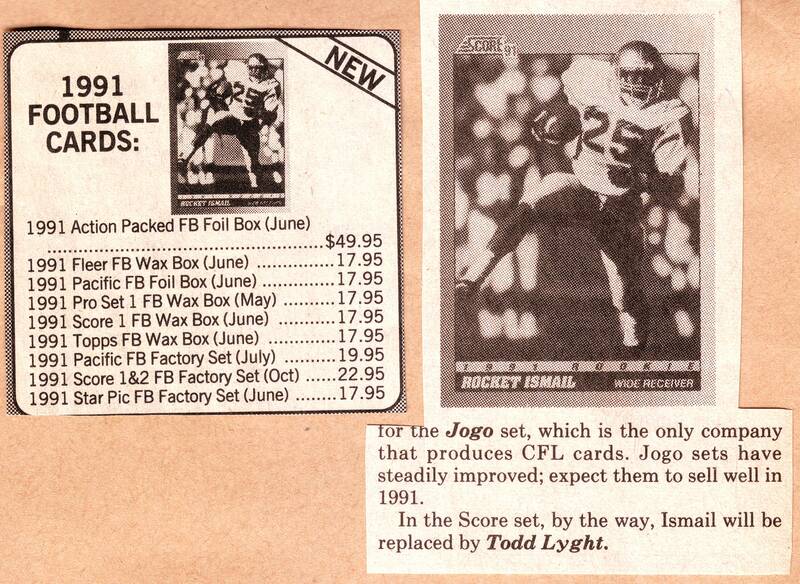 Most of us collectors old enough to know who Rocket Ismail is, probably remember the controversy caused by his signing with a CFL team on draft day, 1991. He was a potential #1 pick, wide-receiver from Notre Dame, loaded with hobby potential. His decision had a ripple effect that was felt by a few of the card companies that year, who had already slotted Rocket into their checklists. Even sending a handful of samples (or printed materials showing a mock-up) out of what his card would look like. Pictured above is Rocket’s unreleased 1991 Score card #318. In 19 years, I can’t say I’ve ever seen an actual copy for sale. So at this point, the above image is the best we’ve got. 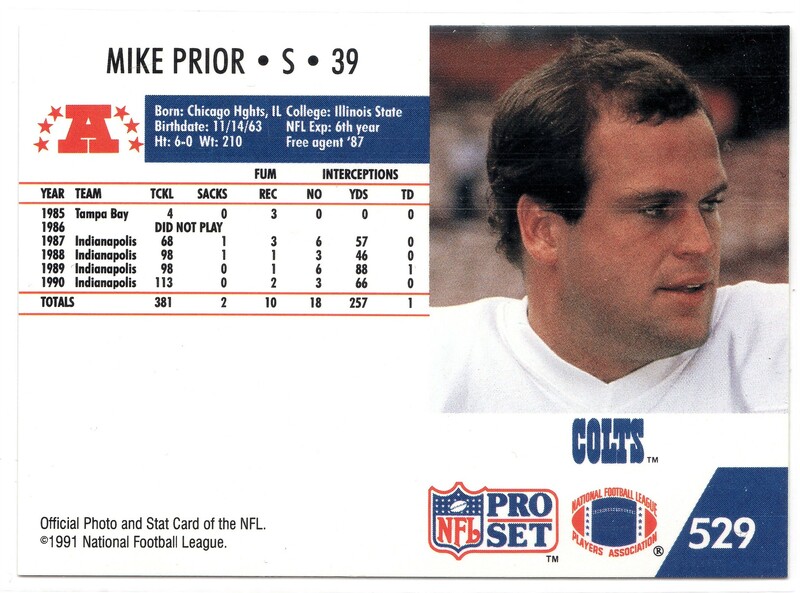 Imagine though, had Rocket had the career that was expected of him, instead of the one he actually had – which wasn’t bad, by all means, an okay one, really…but if he had a Jerry Rice or Andre Reed type career, I wonder if any physical samples of this card would’ve surfaced by now? Any additional info regarding this card would be greatly appreciated and posted with a credit to the source. 1991 Pacific is loaded with variations. Many are well-known. 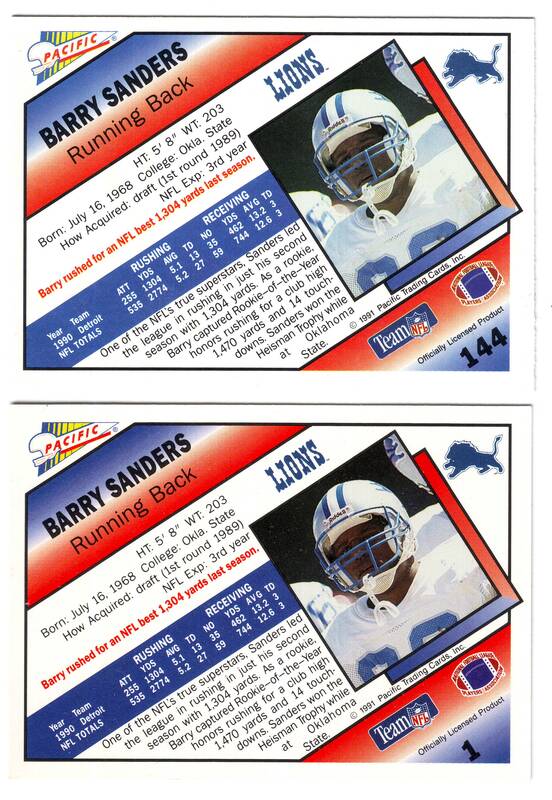 However, one major variation that remains undocumented affects one of the set’s biggest stars: Barry Sanders. His card, usually #144 in the set, can also be found missing the 44 on back, making him #1 in the set. A couple of knowledgeable collectors have mentioned that the #1 variety was issued in a package that included a pin of Barry. Very unusual, and a cool addition to any E&V collection!